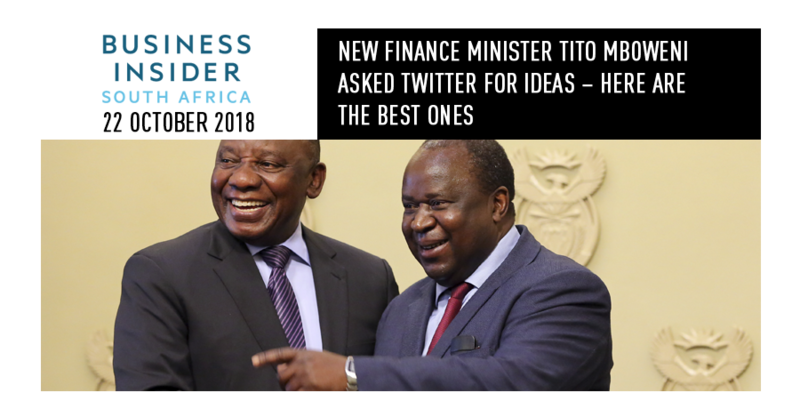 On Friday night new finance minister Tito Mboweni asked Twitter to talk to him – but not tell “the Establishment – ahead of his first major public appearance in his new job on Wednesday. 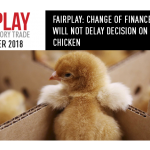 It is not clear exactly how this would annoy the establishment; the Treasury formalised a “Tips for Trevor” campaign 15 years ago, and earlier this year the Treasury launched a budget-information website that was punted as a way to give feedback on the Budget – which points to a form where tips for the minister can be submitted. By Sunday morning Mboweni was on track to receive 3,000 responses to that request. This being Twitter, many of the responses were flippant, but others were entertaining – and a couple of unusual ones gained some traction. Here are some of the best – and strangest – tips Mboweni got on Twitter. …but there seemed to be greater support for dropping VAT on books…. 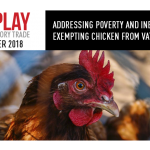 Sell SAA, remove VAT on books and Chicken. …though not necessarily all books. Where do you draw the line ? Tax on children’s books is ok ? How about newspapers ? A dummies guide to learning “whatever” ? Books are good. Knowledge helps everyone. UDM leader Bantu Holomisa wanted Mboweni to focus on other matters – such as the Public Investment Corporation. One user argued for a black-tax rebate – and drew some support for the idea…. Black tax should be recognized and there must be rebates for those who can prove that they are educating a sibling, providing support for relatives. …while another proposed that households get a tax break for employing a domestic worker. Slash cabinet perks. Ministers must buy own homes and own cars. Not everyone, though, thought Mboweni was taking his anti-establishment idea far enough.